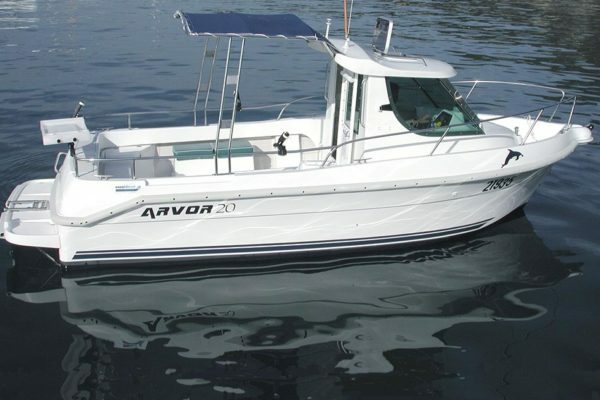 Licensed to carry up to 8 people the Arvor 20 is a great bare boat hire for people who prefer to self drive. Ideal for family outings, sightseeing or fishing (please note children and babies each count as one person). The boat is extremely stable and easy to drive. It includes the comforts of a shaded cockpit, cabin toilet, iPod compatible with CD stereo. Faster Power Boat Option: Power ARVOR now available for those with a current Australian boating licence. Digital fish finder, tackle box, rods and hand lines. 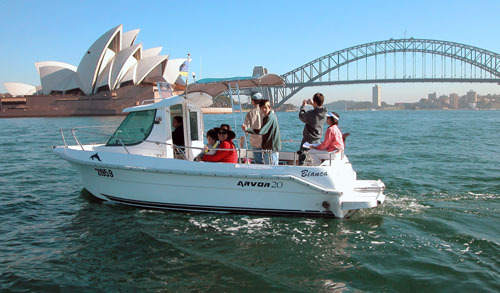 Follow the self guided tour on board to find out about interesting sights and harbour history. 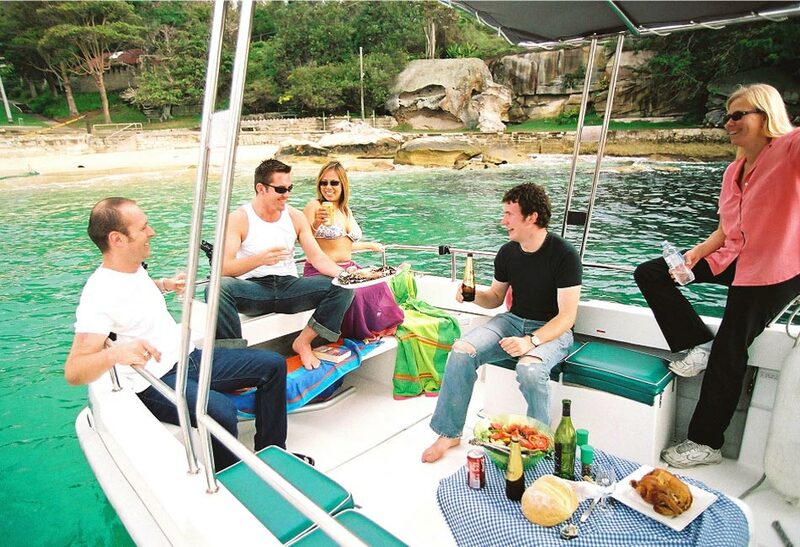 We can suggest itineraries and safe anchorage spots for you. No licence required. Daytime use only. Boat briefing and all safety equipment included. Including Fuel, Fishing License and GST.